The rights of grandparents to visit their beloved grandson pit them against their remarried daughter-in-law. Adler’s latest novel approaches the parent-child visitation issue from a new angle: grandparents who go to court in order to claim the right to spend time with their late son’s child. The moving story involves a widow, Frances, who has remarried and begun a new family, incurring the disapproval of her former father-in-law, who refuses to accept separation from his grandson Tray. The needs, rationalizations and actions of both families are well justified in Adler’s realistic, though occasionally over-sentimentalized tale. The current legislation and judicial entanglements are clearly drawn, with attitudes of lawyers and judges adroitly developed as they influence the outcome of the dispute. 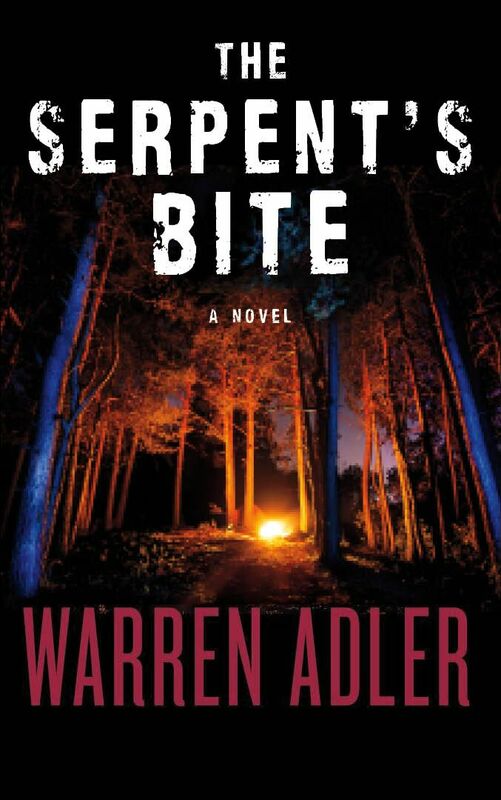 Warren Adler is one of the better writers of commercial fiction plying the trade today. Yet, while his novels consistently win critical praise for their well-drawn plots, realistic characters and crisp dialogue, the kind of Big Book commercial success he deserves has somehow eluded him. Perhaps Twilight Child will be the work that finally puts him over the top. When Charlie Waters dies in an oil rig accident, he leaves behind a young widow, a 5-year-old son and two grieving parents who have lost their only child. Charlie’s marriage had not been a happy one and, several months later, his widow, Frances, now back in the work force, is courted and won by her employer, Peter Graham. It is at this point that young Tray (for Charlie Waters III) becomes a pawn in an intrafamily squabble. Frances feels that her former in-laws “had begun to treat Tray as if he were their dead son.” She thinks her ex-father-in-law “is possessive and very compulsive,” and that allowing the boy to continue to see the senior Waters would be disrupting and confusing since Tray now has Peter Graham’s parents as grandma and grandpa. Peter Graham, himself the product of an unhappy marriage, wants to cut as many strings from his wife’s past as possible. He encourages her to keep Tray from his natural grandparents. Finally, there are Molly and Charlie Waters, whose life seems to get worse with each passing day. First their son dies, then their grandson is taken away from them and, finally, they are forced into early retirement. Ultimately, they sue their former daughter-in-law. Forty-nine states now recognize the right of grandparents to petition the courts for visitation rights, although he issue becomes somewhat muddled when the child, as in this case, is adopted by a new parent. Adler plays the emotional heartstrings with the virtuosity of a concert violinist. What’s disturbing is that Adler unnecessarily manipulates his characters to create emotional tension in a situation that is already emotionally supercharged. Charlie Waters really is possessive and compulsive, yet sometimes shows tremendous sensitivity. Frances Waters Graham seems to vacillate between sympathy for the Waters’ position and outright cruelty. She even returns unopened the Christmas presents from them to Tray. As a result, the book’s ending, while certainly satisfying, is a bit contrived. While Twilight Childisn’t vintage Adler, it is far superior to most of what you’ll find on the best-sellers list today. …Warren Adler’s Twilight Child was inspired by the problems of friends who were denied the right to visit their grandchildren. In researching the book, he found that in our mobile, divorce saturated society, this is not an uncommon situation. “I remembered what my own grandparents meant to me, but I never quite got around to asking them what I meant to them. I grew up in the Depression in a house with parents and uncles and aunts and grandparents. It was a wonderful, warm family home. We were poor, but we were emotionally affluent. Every once in a while a book is published with a plot so compelling and characters so real that the reader ponders the story’s problems and the characters’ actions and decisions long after the last paragraph is read. Such a book is Twilight Child by Warren Adler. 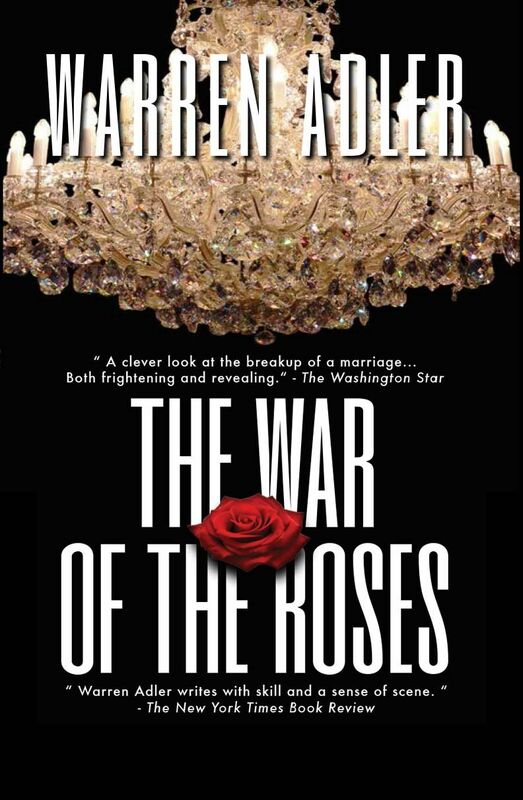 A master storyteller, proven by the outstanding success of his previous novels Random Hearts,The War of the Roses, Natural Enemies, Warren Adler builds his latest novel around the question: What rights to grandparents have legally and morally to their grandchildren? Do parents, usually when a divorce has taken place, have the right to prohibit grandparents from seeing a child? How much is this prohibition the result of jealousy or selfishness? Is the child’s parent unduly influenced by his or her new spouse? Entangled in these questions are the emotions and prejudices of the persons involved. Twilight Child’s action revolves around Frances Waters, recently widowed, Tray, her 5-year-old son, and her mother-in-law-, Molly and father-in-law, Charlie. Frances’ husband, Chuck, has been killed in an oil-rig accident in the Persian Gulf. Handsome, athletic, an enthusiastic sportsman, Chuck, an only child, held a special place in the lives of Molly and Charlie. In Charlie’s mind, Chuck had been near perfect. About the only mistake Chuck had made, in Charlie’s estimation, was marrying too early. Pretty, soft-spoken Frances was flattered by Chuck’s attentions and courtship. She was accepted into the Waters family lovingly by Molly and grudgingly by Charlie. She recognized early that her marriage was far from perfect. Chuck was away for months at a time, accepting work in foreign countries and indulging himself in sporting vacations with Charlie. He refused to accept his responsibilities as a husband and, after Tray was born, father. Frances knew Chuck to be far different from his parents’ conception of him. But why disillusion his parents, Frances counsels herself. Now that Chuck has gone from her life, Frances is determined to make a new life for herself and Tray. Molly and Charlie, keenly feeling the loss of their son, shower her and Tray with attention. Suddenly, Peter Graham, her office boss, enters her life. Frances sees in Peter qualities Chuck never had. He’s quietly intelligent. He’s wealthier, more cultured and far more considerate. Most of all, he loves her for herself. He sees in her qualities others never have. Wonderfully, he’s attentive to Tray, plays games with him, treats him to trips to the zoo, sees Tray as the child he’s always wanted. Deliriously happy, Frances and Peter plan their marriage. The thought – this marriage is just six months since Chuck’s funeral – nags Frances. Peter empathetically dismisses Frances’ nagging thought. Molly and Charlie are devastated when Frances, as gently as possible, tells them that she and Tray want to get on with their lives. She and Peter want no ties to her past life. For Tray’s sake, will they not see the child until he has had an opportunity to adjust to his new life and family? Bewildered, hurt, beset with the loss of their beloved son and now separated from their grandson, Molly and Charlie reluctantly agree to Frances’ request. Two years go by with no word from Frances that they might see their grandson. Their Christmas gifts are returned to them unopened. Now, angry as well as hurt, the grandparents decide to take action that will enable them to see Tray, whom they dearly love. 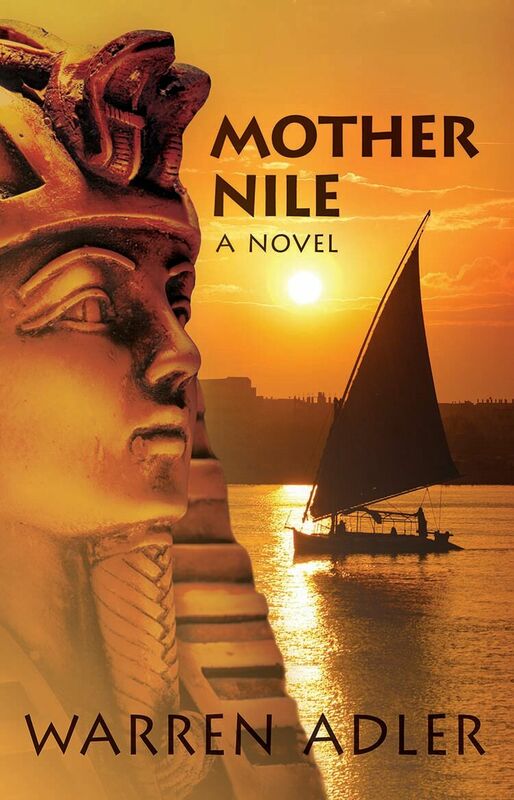 Adler’s expertise in character portrayal enables the reader to relate to all the people in the story. Molly and Charlie want only to be loving, caring grandparents to a child they have cherished since babyhood. Are these emotions wrong? Aren’t they worth fighting for? Frances and Peter are enjoying a blissful marriage. Won’t ties to the past endanger their happy home? Tray feels secure with his contented mother and a proud, loving stepfather. How will his elders’ feelings be explained to him? There’s suspense to the last page of this book when a third person, a stranger to all concerned, determines the answers to these questions. Who will be the victors and what cost does victory exact? Adler has another winner in this suspenseful emotion-laden book. This contemporary examination of the rights of grandparents to visit their grandchild is somewhat melodramatic, but engrossing. Veteran novelist Adler deliberately blurs the issue by making the people involved very human, but not necessarily likable. Young Frances Waters is freed from an unhappy marriage by the accidental death of her roving husband. When she remarries six months later, Charlie, her dead spouse’s father, is livid. To remove what she perceives as an unhealthy influence over her young son, Frances forbids Charlie to see him. The grandparents sue for visitation rights. It’s hard to empathize with Charlie’s macho behavior and Frances’s syrupy sweetness: however, public libraries serving older populations will want this book. Trust Warren Adler to come up with a good yarn. Both his The War of the Roses and Random Hearts were twists or everyday situations, the sum total of which were despite some faults, intriguing. Here, again, he molds a contemporary situation into an almost successful novel. Good – but it could have been much more. Frances, a young bride, is left with a three year-old boy when her husband is killed on an oil rig. We learn right off that it was a dreadful marriage, all the fault of husband, Charlie. Married too young, he soon became an unfaithful bounder, too itchy to remain at home where he belonged. Only his mother, Molly, was aware of the difficulties within the marriage. His father, Charlie Sr., a bigoted blue-collar worker, thinks all the world of his son and grandson but very little of his daughter-in-law. When their only child dies, the grandparents lavish an abundance of love and attention on their little grandson, Tray. Frances then takes a temporary job in a computer firm and it’s love at first sight on the part of her boss, Peter an eligible engineer who then plays Pygmalion, introducing the unsophisticated woman to music, art, and the finer things in life. They marry a few short months after Charlie’s death, angering the grandparents. Once married and settled in a lavish house, the couple decide that Tray’s continuing relationship with his grandparents would only be disruptive and “not in the child’s best interest.” All contact, therefore is to cease for an indefinite period, or “until Tray adjusts to his new life.” Peter adopts the boy, loving him as his own. The pair have another baby, and all’s well until the notification from a lawyer. Charlie and Molly are the grandparents suing for visitation rights! Adler has done his homework well – the legal aspects of this case of domestic law are fascinating. A young woman gets married. She has a son. Her husband is killed in an accident. The young widow meets and marries another man. She, her son and her new husband form a new family. 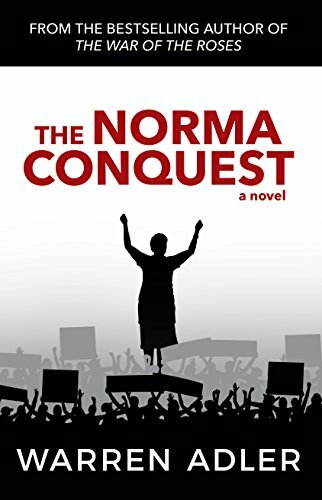 Upon these simple, yet complex, events Warren Adler has constructed his latest novel, a powerful and timely story of family relationships – of husbands, wives, children, parents, grandchildren, grandparents. Frances was a nice person. Charlie and Molly were nice people, too. They loved their grandson, Tray. When their son died and Frances remarried, Charlie and Molly were not happy, but it never occurred to them that they might lose their grandson. First Frances wanted only to protect her young son from confusion as he adjusted to a new father and new “grandparents.” Secretly she also feared Charlie’s influence. Frances felt Charlie’s fetish for masculine camaraderie had scarred Tray’s father, and she did not want this to happen with Tray. Charlie and Molly wanted to see their grandchild, to share their love, to be part of his life. But Charlie continued to regard Frances’ remarriage as an act of dishonor to his dead son. Charlie’s anger and resentment caused stress between Frances and her former in-laws. After two years these nice people were trapped in an emotional gridlock, and a bitter legal battle. This is not an easy book to read. We are all children and grandchildren of someone, somewhere. Adler’s sensitive examination of the anguish of Charlie and Molly and Frances is fiction, pathos distilled by a writer, but whatever out relationships have been, or have not been, he touches nerves and provokes emotions. Twilight Child is a story of a couple fighting for their right to be more than biological grandparents in an era where families are formed and reformed like mutant amoebas. Newspaper headlines remind us daily of the realities of families in conflict. 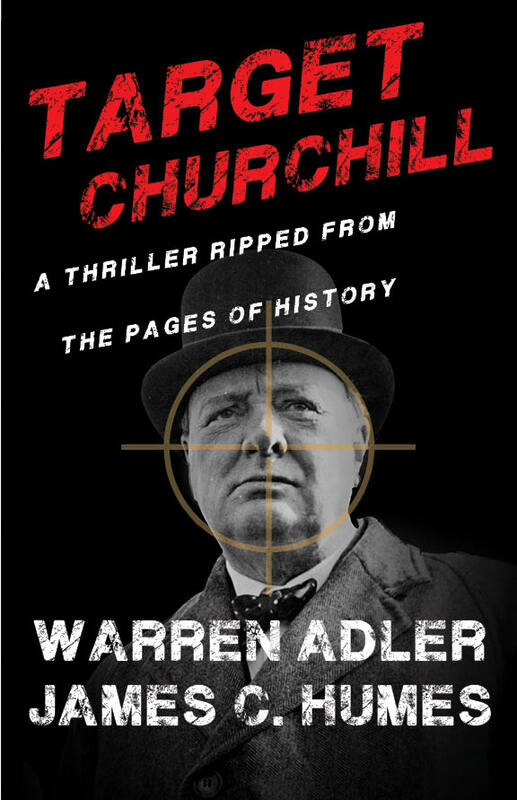 Warren Adler probes the heartbeats behind the headlines.